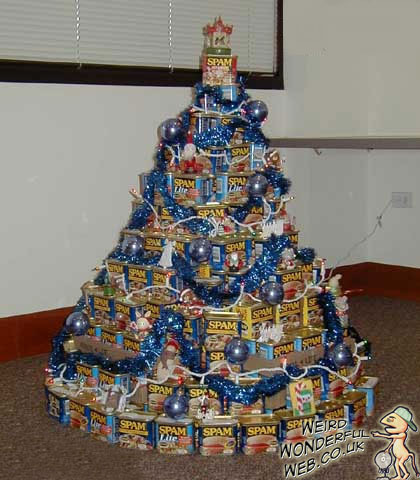 Weird Wonderful Web: The mighty Xmas tree of Spam! Another old favourite of mine posted back in 2007 with the Monty Python video of the "Spam song". I'm sure we all agree this beautiful creation would make anyone's home extra Christmassy. And is the envy of us all.